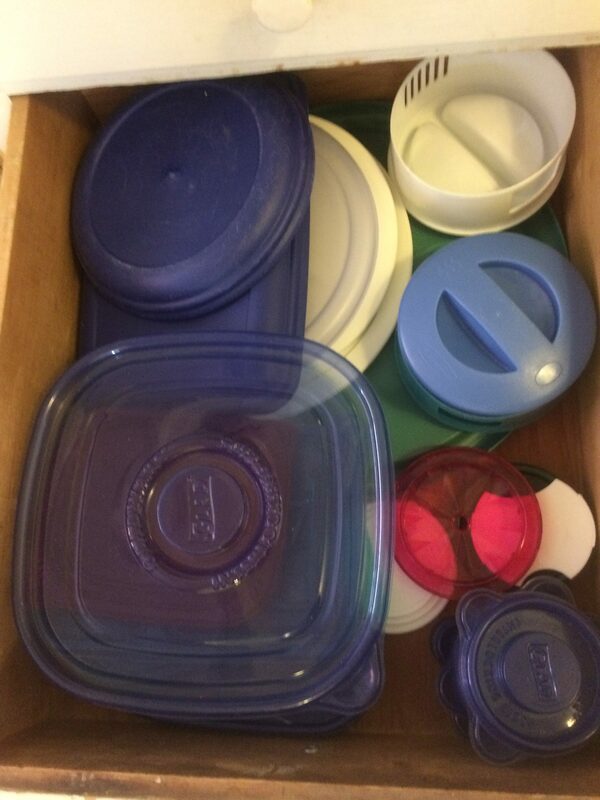 Moving on to the microwave and cupboards around… I forgot to take a before pic of the microwave, so I didn’t bother with an after pic. It’s just a microwave. 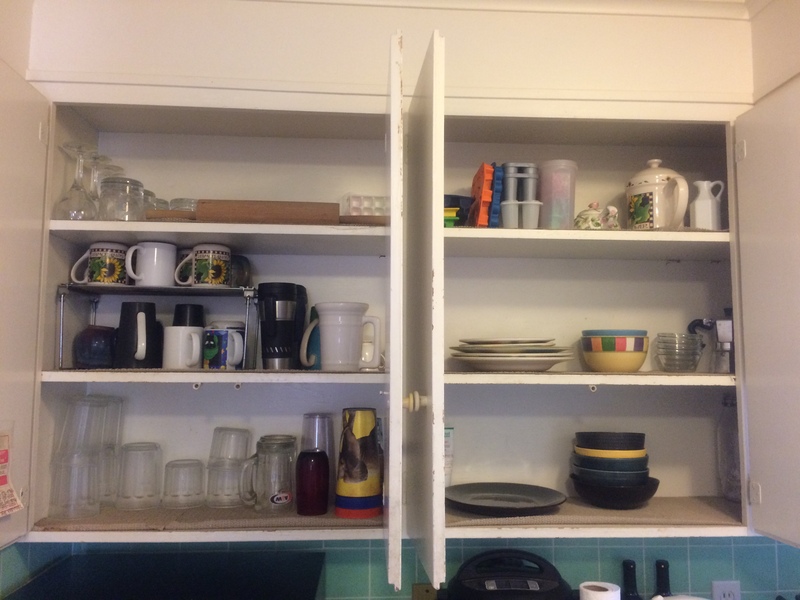 But I did take pics of the cupboards. 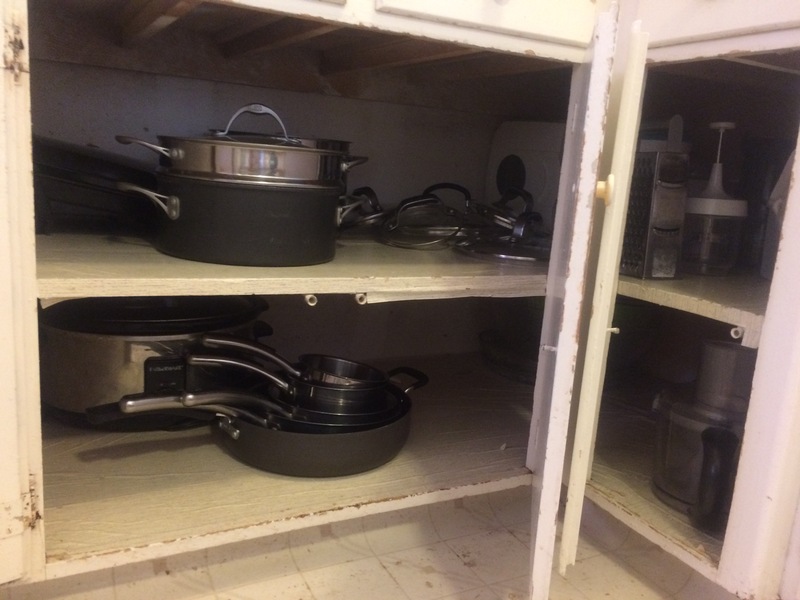 These are my dish cupboards and my pots/pans and kitchen appliance cupboards. 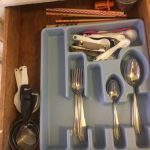 Plus my utensils drawers and my lid drawer… and a couple others that I didn’t bother with pics because there wasn’t anything worth seeing…I just took everything out, dumped out the crumbs and put everything back in that needed to be in there… Threw anything away that didn’t need to be in there, etc. I didn’t feel like everything today needed pics. 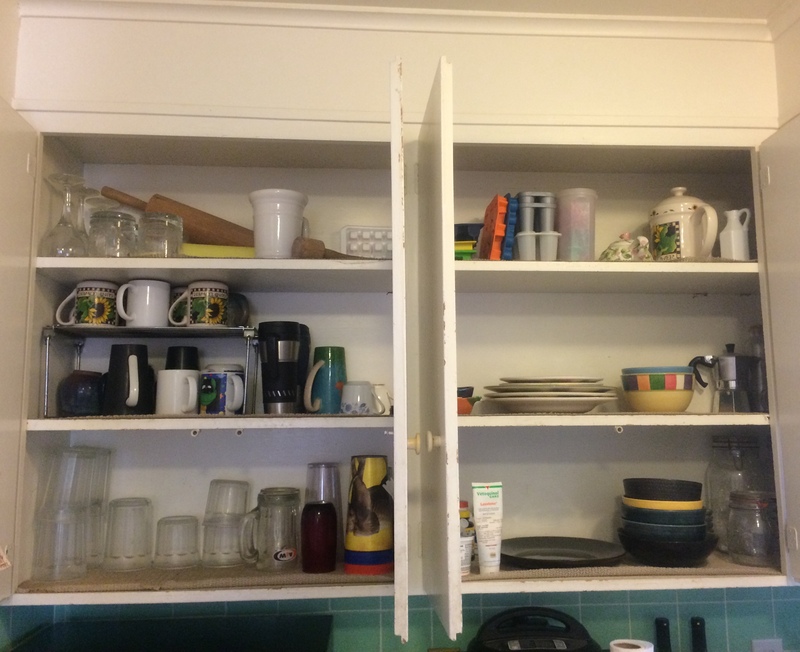 I didn’t even bother taking EVERYTHING out of cupboards today, since my dishes shelves have textured liners on them that cannot really be wiped down so there didn’t seem to be a point. But I did wipe down the cupboards that had just regular adhesive liners. 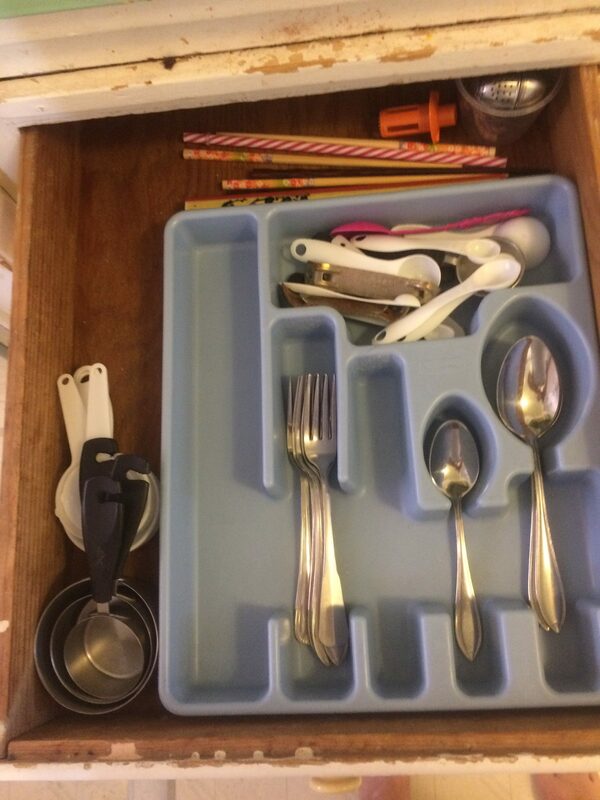 My lid drawer, which I went through each and every lid to ensure that it still had a container that it belonged to…and my utensil drawer, which is always getting crumbs in it from the chopping board above. So I had to clean all that out, and I also pitched a few extra items in there while I was at it, and reorganized a little. 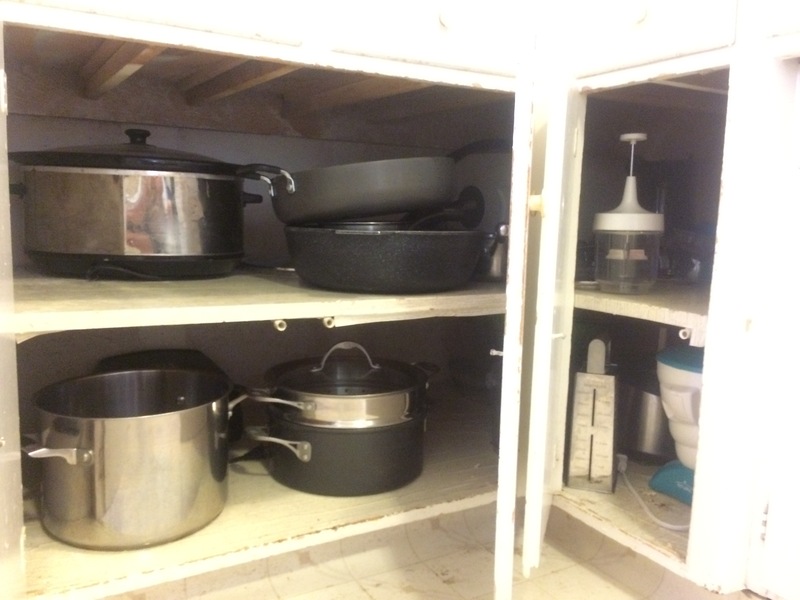 The appliance cupboard is downright sparse now, and I’m pretty happy about that! 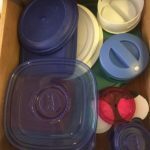 I’ve been slowly getting rid of appliances we don’t use. Got rid of a couple more today. So now I’m ready for the last day of the kitchen! The day to wrap it all up! If you’d like to join me on my Purge, you can sign up here!